The CPMR Intermediterranean Commission (IMC) and its regions are currently developing synergies with several initiatives and cooperation frameworks meant to improve Mediterranean governance and cooperation. An example of this effort is the collaboration started in 2013 with the Union for the Mediterranean Secretariat, consolidated in 2016-2017 on the important theme of Blue Economy (BE). In this sense, the CPMR IMC is involved in the UfM Working Group on BE as formal observer and is directly contributing to the UfM works on this topic with the help of its regions, promoting specific initiatives (e.g. the Bologna Charter) and projects, as well as dissemination of key information and capitalization. These synergies will be concretized even more in the frame of the forthcoming UfM Regional Stakeholder conference on Blue Economy. Another very interesting initiative linked to Blue Growth in the Mediterranean is BLUEMED with its Strategic and Innovation Agenda (SRIA) that aims at strengthening Euro-Mediterranean cooperation precisely through Research and Innovation. The SRIA is being currently updated and the stakeholders can contribute through a public survey. Concerning the specific synergies with the IMC, as it was announced during its last General Assembly in Naples, the CPMR Intermediterranean Commision will directly collaborate with the initiative, being involved mainly in the Bluemed Coordination & Support Action and in particular in its Policy Platform. In addition to the past and current synergies with the EUSAIR strategy for the Adriatic-Ionian Macro-Region and in connection with the UfM works on Blue Economy and the previous IMC reflections on the emerging strategies and initiatives in the Mediterranean, the CPMR is also contributing directly to the new West MED maritime initiative. The organization has been involved in the preparatory phases and currently is participating in the monitoring and follow-up (e.g. participating as observer in the last West MED workshops held in Brussels after the Stakeholder conference held in Barcelona in February 2017). In this regard, and after the approval of the European Commission’s communication & Framework for Action of the initiative in April 2017, as well as the endorsement in the Council conclusions on Blue Growth last June, the countries involved in the initiative will meet in Naples at the end of November 2017, in the framework of a ministerial conference – organized back to back with the UfM Regional conference on BE – to advance mainly on the governance aspects of the initiative itself. Concerning governance and cooperation at Mediterranean level, the IMC is also involved as formal observer in the PANORAMED project, linked to the axis 4 on “Enhancing Mediterranean Governance” of the Interreg MED program. Several synergies have been already developed in the frame of the statutory meetings of the CPMR IMC, Interreg MED/projects meeting and the formal kick-off held in Seville at the end of September 2017. The IMC is now planning to organize back to back events between the IMC Political Bureau and PANORAMED, in the region of Murcia, next February 2018. This will be a useful opportunity for advancing in the effort to concretize specific synergies dealing with governance aspects (e.g. the ones linked with sustainable maritime & coastal tourism, how to better liaise the Mediterranean initiatives, actions, strategies, programs and key players to better cope with existing gaps/provide more effective solutions etc.). In this framework the IMC is keeping its efforts to collaborate with a wide range of stakeholders, Institutions and organizations at Mediterranean scale in order to join forces towards common goals, set-up partnerships for projects, debates and advocacy activities. With this aim, the IMC and its regions are also developing collaborations and are directly participating in significative events that can help strengthen the cooperation at different levels and on different key themes, both at EU and Mediterranean level. 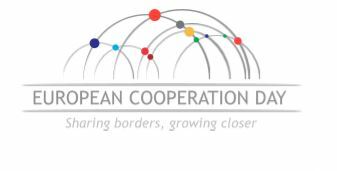 Two significative examples are the interesting Conferences on “Territorial cooperation and cohesion policy” organized last September in Rome by the Agency for Cohesion with the occasion of the Day of European Cooperation or ECOMONDO. For more information on IMC Activities: IMC global action plan 2017-18, IMC Working Groups and Task Forces, Political Declaration of the GA Naples 2017, IMC Activity report, IMC Calendar.